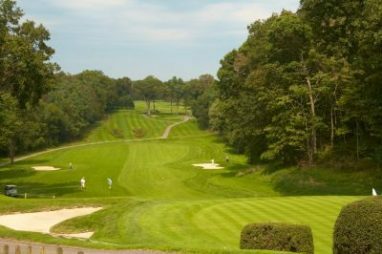 Fans of golf have a great opportunity to come out and support Make-A-Wish Suffolk County this September. The annual Gail Bigler Memorial Golf Outing takes place Sept. 17 at the Huntington Crescent Club (15 Washington Drive) in Huntington. Activities will fill the day from morning until evening, and all of it will support the great work being done by Make-A-Wish Suffolk County. Starting at 10:30 a.m., get your game ready on the driving range and putting green. Once you’re warmed up, check-in and a full brunch will follow from 11 a.m. until 12:30 p.m. The shotgun start goes off at 12:30, followed by a lunch on the course from 1:30 to 2:30. Later in the day, a reception will take place from 6 until 8. The reception includes a dinner buffet and a special program featuring stories from Wish Kids. An auction and raffles will also be going on during dinner. Registration is open now until Sept. 11. With multiple options to participate, you can find the package that’s right for you. Cocktail and dinner reservations only are $150 per person. This includes admittance to the dinner buffet, cocktails and auction portion of the event. Golfer registration is $850 per person. This includes registration for one golfer, eligibility for awards, plus all meals, beverages, and special gifts throughout the day. A golf package is $3,500 per foursome. The package includes registration for four people, eligibility for awards, all meals, beverages and gifts, as well as a personalized flag at one of the holes. The Adopt A Wish Package is $10,000. This package allows you to fully sponsor a wish through Make-A-Wish Suffolk County. It also includes registration for four golfers, all meals, beverages and gifts, a personalized flag at a hole, and a commemorative gift for sponsoring a wish. To register, please email wishmail@suffolk.wish.org or call 631-585-9474. All of these options are great ways to help Make-A-Wish Suffolk County grant more wishes for kids facing critical illnesses. If you’re looking for other ways to support your local Make-A-Wish Suffolk County, consider making a car donation to Wheels For Wishes. Our car donation program benefits Make-A-Wish Suffolk County, helping them grant more wishes in places like East Hampton, Brookhaven, Bohemia, and all throughout the county. Donating a car is a great way to make wishes come true. You’ll also receive other benefits such as free towing, the maximum possible tax deduction, and help all along the way with any car donation questions you may have. Our representatives will help make your donation experience easy and hassle free, and they’ll even handle all the paperwork for you. To donate your car, please call 1-877-431-9474 or make your donation online with our car donation form.